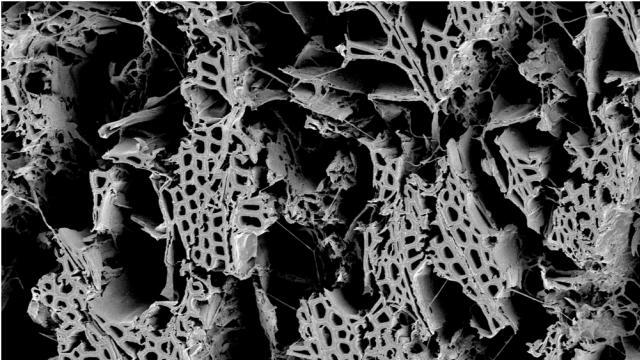 Interesting fact: A large-scale comparison of fungi that cause wood decay identified the rise of white rot fungus as the potential driving force behind the end of the 60-million year phase of coal deposition in the Carboniferous period. Molecular clock analyses revealed that a species of white rot fungi with enzymes capable of breaking down lignin first evolved around 300 million years ago. Before this, no decay mechanism existed to degrade lignin and destroy plant walls, leaving them to ultimately be buried and converted to coal. D. Floudas et al., “Lignin decomposition reconstructed from 31 fungal genomes,” Science, 336: 1715-1719, 2012. Interesting fact: Foxtail millet’s close relation to switchgrass makes it a good model for the popular biofuels research subject. Two new papers add a detailed genetic map and a draft genome to the growing dataset on foxtail millet, providing a resource for identifying genes that influence traits such as disease resistance, drought tolerance, and cell-wall composition, all of which could be optimized for higher biofuel production. (See this month’s feature, “Building Better Biofuel Crops.”) As an example, Gengyun Zhang and his team mapped an herbicide-resistant gene. J. Bennetzen et al., “Reference genome sequence of the model plant Setaria,” Nature Biotechnology 30, 555–561, 2012. G. Zhang et al., “Genome sequence of foxtail millet (Setaria italica) provides insights into grass evolution and biofuel potential,” Nature Biotechnology 30, 549–554, 2012. Interesting fact: Comparing the genome of the bottlenose dolphin to other mammals reveals clues regarding the genetics underlying the their high intelligence, including 27 mutations in proteins associated with the nervous system. One of these was on the protein microcephalin, which also occurs in the human genome, suggesting it has a governing role in brain size. Other selected genes appear to govern neuronal connections, and provide adaptations for ocean living, such as improving oxygen carrying capacity and mitochondrial function. 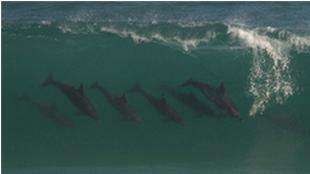 M. McGowen et al., “Dolphin genome provides evidence for adaptive evolution of nervous system genes and a molecular rate slowdown,” Proceedings of the Royal Society B, doi: 10.1098/rspb.2012.0869, 2012. Interesting fact: Sequencing 4,283 samples of sharks and rays turned up 574 species, of which 79 are potentially new to science. The startling turn-up has many questioning to organization of the shark and ray family tree, and has also caused conservation concerns. The list included several endangered sharks, which may actually contain more than one species as previously recognized, making their numbers even fewer. G. Naylor et al., “A DNA sequence based approach to the identification of shark and ray species and its implications for global elasmobranch diversity and parasitology,” Bulletin of the American Museum of Natural History, in press. Interesting fact: With the bonobo gene sequenced, it can now be compared to humans and our other closest ancestor, chimpanzees. Humans split from a common ancestor of the three primate species around 4.5 million years ago, but the new analysis shows it wasn’t a clean break. More than 3 percent of the human genome is more closely related to chimps and bonobos than chimps and bonobos are to each other, suggesting ancient humans continued to interbreed with their ape cousins for many years, whereas chimps and bonobos split completely when they branched off about a million years ago. 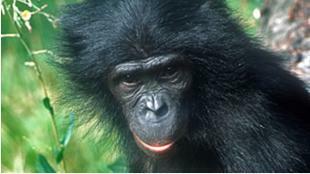 K. Prufer et al., “The bonobo genome compared with the chimpanzee and human genomes,” Nature, 486: 527–531, 2012.